The chief issues in the operation of combined-cycle power plant (CCPP) heat recovery steam generators at the stage of maturation of this technology in the power industry of Russia are outlined. 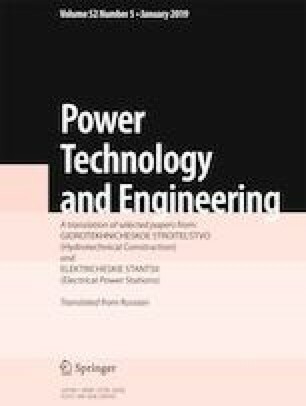 The design evolution is shown for heat recovery steam generators (HRSG), reflecting the problems of ensuring rapid start-ups of CCPPs and limiting the failure rate of thick-walled elements of the HRSG steam-water path; and an approach is proposed for designing programs for maintenance of heat exchange steam generators. Translated from Élektricheskie Stantsii, No. 9, September 2018, pp. 15 – 18.